Some years ago, the author was fishing in a river of Inverness-shire. He drove to the stream, picked up an old gillie named Campbell, and then went on towards the spot where he meant to begin angling. A sheep that lay on the road jumped up suddenly, almost under the horse's feet, the horse shied, and knocked the dogcart against a wall. On the homeward way we observed a house burning, opposite the place where the horse shied, and found that a farmer had been evicted, and his cottage set on fire. This unhappy person, it seems, was in debt to all his tradesmen, not to his landlord only. The fire-raising, however, was an excessively barbaric method of getting him to leave the parish, and the view justified the indignation of the gillie. The old gillie, much excited, declared that the horse had foreseen this event in the morning, and had, consequently, shied. In a more skeptical spirit the author reminded Campbell of the sheep which started up. 'That sheep was the devil,' Campbell explained, nor could this rational belief of his be shaken. The affair led to a conversation on the second sight, and Campbell said, 'he had it not,' 'but his sister (or sister-in-law) had it'. Campbell was a very agreeable companion, interested in old events, and a sympathizer, as he said, in spite of his name, with the great Montrose. His remarks led the author to infer that, contrary to what some inquirers wrote in the last, and Graham Dalyell in the present century, the belief in the second sight is still quite common in the Highlands. As will be shown later, this inference was correct. We must not, from this survival only, draw the conclusion that the Highlanders are more superstitious than many educated people south of the Highland line. Second sight is only a Scotch name which covers many cases called telepathy and clairvoyance by psychical students, and casual or morbid hallucinations by other people. In second sight the percipient beholds events occurring at a distance, sees people whom he never saw with the bodily eye, and who afterwards arrive in his neighborhood; or foresees events approaching but still remote in time. The chief peculiarity of second sight is, that the visions often, though not always, are of a symbolical character. A shroud is observed around the living man who is doomed; boding animals, mostly black dogs, vex the seer; funerals are witnessed before they occur, and 'corpse-candles' (some sort of light) are watched flitting above the road whereby a burial procession is to take its way. Though we most frequently hear the term 'second sight' applied as a phrase of Scotch superstition, the belief in this kind of ominous illusion is obviously universal. Theoclymenus, in the Odyssey, a prophet by descent, and of the same clan as the soothsayer Melampus, beholds the bodies and faces of the doomed wooers, 'shrouded in night'. The Pythia at Delphi announced a similar symbolic vision of blood-dripping walls to the Athenians, during the Persian War. Again, symbolic visions, especially of blood-dripping walls, are so common in the Icelandic sagas that the reader need only be referred to the prodigies before the burning of Njal, in the Saga of Burnt Njal. Second sight was as popular a belief among the Vikings as among the Highlanders who retain a large share of their blood. It may be argued by students who believe in the borrowing rather than in the independent evolution of ideas, that the Gaelic second sight is a direct inheritance from the Norsemen, who have left so many Scandinavian local names in the isles and along the coasts. However this may be, the Highland second sight is different, in many points, from the clairvoyance and magic of the Lapps, those famous sorcerers. On this matter the History of Lapland, by Scheffer, Professor of Law in Upsala, is generally cited (Oxford, 1674). 'When the devil takes a liking to any person in his infancy,' says Scheffer, 'he presently seizes on him by a disease, in which he haunts him with several apparitions.' This answers, in magical education, to Smalls, or Little Go. Some Lapps advance to a kind of mystic Moderations, and the great sorcerers attain to Final Schools, and are Bachelors in Black Arts. 'They become so knowing that, without the drum they can see things at the greatest distances; and are so possessed by the devil that they see things even against their will.' The 'drum' is a piece of hollow wood covered with a skin, on which rude pictures are drawn. An index is laid on the skin, the drum is tapped, and omens are taken from the picture on which the index happens to rest. But this practice has nothing to do with clairvoyance. In Scheffer's account of Lapp seers we recognize the usual hysterical or epileptic lads, who, in various societies become saints, mediums, warlocks, or conjurers. But Scheffer shows that the Lapp experts try, voluntarily, to see sights, whereas, except when wrapped in a bull's hide of old, or cowering in a boiler at the present day, the Highland second-sighted man lets his visions come to him spontaneously and uninvoked. Scheffer wished to take a magical drum from a Lapp, who confessed with tears, that, drum or no drum, he would still see visions, as he proved by giving Scheffer a detailed relation 'of whatever particulars had happened to me in my journey to Lapland. And he further complained, that he knew not how to make use of his eyes, since things altogether distant were presented to them.' When a wizard is consulted he dances round till he falls, lies on the ground as if dead, and, finally, rises and declares the result of his clairvoyance. His body is guarded by his friends, and no living thing is allowed to touch it. Tornaeus was told many details of his journey by a Lapp, 'which, although it was true, Tornaeus dissembled to him, lest he might glory too much in his devilish practices'. Olaus Magnus gives a similar account. The whole performance, except that the seer is not bound, resembles the Eskimo 'sleep of the shadow,' more than ordinary Highland second sight. The soul of the seer is understood to be wandering away, released from his body. The belief in clairvoyance, in the power of seeing what is distant, and foreseeing what is in the future, obviously and undeniably occurs everywhere, in ancient Israel, as in Mexico before the Spanish Conquest, and among the Red Indian tribes as among the Zulus. It is more probable that similar hallucinatory experiences, morbid, or feigned, or natural, have produced the same beliefs everywhere, than that the beliefs were evolved only by 'Aryans,'—Greeks or Scandinavians—and by them diffused all over the world, to Zulus, Lapps, Indians of Guiana, Maoris. One of the earliest references to Scotch second sight is quoted by Graham Dalyell from Higden's Polychronicon. 'There oft by daye tyme, men of that islonde seen men that bey dede to fore honde, byheded' (like Argyll, in 1661), 'or hole, and what dethe they deyde. Alyens setten theyr feet upon feet of the men of that londe, for to see such syghtes as the men of that londe doon.' This method of communicating the hallucination by touch is described in the later books, such as Kirk's Secret Commonwealth (1691), and Mr. Napier, in his Folklore, mentions the practice as surviving in the present century. From some records of the Orkneys, Mr. Dalyell produces a trial for witchcraft on Oct. 2, 1616. This case included second sight. The husband of Jonka Dyneis being in a fishing-boat at Walls, six miles from her residence at Aith, and in peril, she was 'fund and sein standing at hir awin hous wall, in ane trans, that same hour he was in danger; and being trappit, she could not give answer, bot stude as bereft of hir senssis: and quhen she was speirit at quhy she wes so movit, she answerit, “Gif our boit be not tynt, she is in great hazard,”—and wes tryit so to be'. Elspeth Reoch, in 1616, was tried as a witch for a simple piece of clairvoyance, or of charlatanism, as we may choose to believe. The offence is styled 'secund sicht' in the official report. Again, Issobell Sinclair, in 1633, was accused, almost in modern spiritualistic phrase, of 'bein controlled with the phairie, and that be thame, shoe hath the second sight'. Here, then, we find it officially recorded that the second-sighted person is entranced, and more or less unconscious of the outer world, at the moment of the vision. Something like le petit mal, in epilepsy, seems to be intended, the patient 'stude as bereft of hir senssis'. Again, we have the official explanation of the second sight, and that is the spiritualistic explanation. The seer has a fairy 'control'. This mode of accounting for what 'gentle King Jamie' calls 'a sooth dreame, since they see it walking,' inspires the whole theory of Kirk (1691), but he sees no harm either in 'the phairie,' or in the persons whom the fairies control. In Kirk's own time we shall find another minister, Frazer of Tiree, explaining the visions as 'revived impressions of sense' (1705), and rejecting various superstitious hypotheses. The detestable cruelty of the ministers who urged magistrates to burn second-sighted people, and the discomfort and horror of the hallucinations themselves, combined to make patients try to free themselves from the involuntary experience. As a correspondent of Aubrey's says, towards the end of the sixteenth century: 'It is a thing very troublesome to them that have it, and would gladly be rid of it . . . they are seen to sweat and tremble, and shreek at the apparition'. 'They are troubled for having it judging it a sin,' and they used to apply to the presbytery for public prayers and sermons. Others protested that it was a harmless accident, tried to teach it, and endeavoured to communicate the visions by touch. As usual among the Presbyterians a minister might have abnormal accomplishments, work miracles of healing, see and converse with the devil, shine in a refulgence of 'odic' light, or be second-sighted. But, if a layman encroached on these privileges, he was in danger of the tar-barrel, and was prosecuted. On the day of the battle of Bothwell Brig, Mr. Cameron, minister of Lochend, in remote Kintyre, had a clairvoyant view of the fight. 'I see them (the Whigs) flying as clearly as I see the wall,' and, as near as could be calculated, the Covenanters ran at that very moment. How Mr. Cameron came to be thought a saint, while Jonka Dyneis was burned as a sinner, for precisely similar experiences, is a question hard to answer. But Joan of Arc, the savior of France, was burned for hearing voices, while St. Joseph of Cupertino, in spite of his flights in the air, was canonized. Minister or medium, saint or sorcerer, it was all a question of the point of view. As to Cameron's and Jonka's visions of distant contemporary events, they correspond to what is told of Apollonius of Tyana, that, at Ephesus, he saw and applauded the murder of Domitian at Rome; that one Cornelius, in Padua, saw Caesar triumph at Pharsalia; that a maniac in Gascony beheld Coligny murdered in Paris. In the whole belief there is nothing peculiarly Scotch or Celtic, and Wodrow gives examples among the Dutch. Second Sight, in the days of James VI. had been a burning matter. After the Restoration, a habit of jesting at everything of the kind came in, on one hand; on the other, a desire to investigate and probe the stories of Scotch clairvoyance. Many fellows of the Royal Society, and learned men, like Robert Boyle, Henry More, Glanvill, Pepys, Aubrey, and others, wrote eagerly to correspondents in the Highlands, while Sacheverell and Waldron discussed the topic as regarded the Isle of Man. Then came special writers on the theme, as Aubrey, Kirk, Frazer, Martin, De Foe (who compiled a catch-penny treatise on Duncan Campbell, a Highland fortune-teller in London), Theophilus Insulanus (who was urged to his task by Sir Richard Steele), Wodrow, a great ghost-hunter: and so we reach Dr. Johnson, who was 'willing to be convinced,' but was not under conviction. In answer to queries circulated for Aubrey, he learned that 'the godly' have not the faculty, but 'the virtuous' may have it. But Wodrow's saint who saw Bothwell Brig, and another very savory Christian who saw Dundee slain at Killiecrankie, may surely be counted among 'the godly'. There was difference of opinion as to the hereditary character of the complaint. A correspondent of Aubrey's vouches for a second-sighted man who babbled too much 'about the phairie,' and 'was suddenly removed to the farther end of the house, and was there almost strangled'. This implies that spirits or 'Phairies' lifted him, as they did to a seer spoken of by Kirk, and do to the tribal medicine-men of the Australians, and of course, to 'mediums'. Contemporary with Aubrey was the Rev. Robert Kirk of Aberfoyle, a Celtic scholar who translated the Bible into Gaelic. In 1691 he finished his Secret Commonwealth of Elves, Faunes and Fairies, whereof only a fragment has reached us. It has been maintained that the book was printed in 1691, but no mortal eye has seen a copy. In 1815 Sir Walter Scott printed a hundred copies from a manuscript in the Advocates' Library in Edinburgh. He did not put his name on the book, but Charles Kirkpatrick Sharpe, in a note on his own copy, affirms that Sir Walter was the editor. Another edition was edited, for Mr. Nutt, by the present writer, in 1893. In the year following the completion of his book Mr. Kirk died, or, as local tradition avers, was carried away to fairyland. Mr. Kirk has none of the Presbyterian abhorrence of fairies and fauns, though, like the accusers of the Orkney witches, he believes that 'phairie control' inspires the second-sighted men, who see them eat at funerals. The seers were wont to observe doubles of living people, and these doubles are explained as 'co-walkers' from the fairy world. This 'co-walker' 'wes also often seen of old to enter a hous, by which the people knew that the person of that liknes wes to visite them within a few days'. The mystery of the young man, who could not have entered the house without ringing, was unsolved. Next day a lady living exactly opposite Miss H.'s house, asked that lady if she could give hospitality to a young man who was coming to Edinburgh from the country. Miss H. assented, and prepared a room, but the visitor, she was informed, went to stay with a relation of his own. Two days later Miss H. was looking out of her dining-room window after luncheon. 'Why, there's my ghost!' she exclaimed, and her friends, running to the window, allowed that he answered to the description. The 'ghost' went into the house of Miss H.'s friend on the other side of the street, and Miss H., with natural curiosity, sallied out, and asked who he was. He was the young man for whom she had prepared a room. During his absence in the country, his 'co-walker' had visited the house at which he intended to stay! Coincidences of this kind, then, gave rise to the belief in this branch of second sight. Though fairies are the 'phantasmogenetic agencies' in second sight, a man may acquire the art by magic. A hair rope which has bound a corpse to a bier is wound about him, and then he looks backward 'through his legs' till he sees a funeral. The vision of a seer can be communicated to any one who puts his left foot under the wizard's right foot. This is still practiced in some parts of the Highlands, as we shall see, but, near Inverness, the custom only survives in the memory of some old people. Mr. Kirk's wizards defended the lawfulness of their clairvoyance by the example of Elisha seeing Gehazi at a distance. The second sight was hereditary in some families: this is no longer thought to be the case. Kirk gives some examples of clairvoyance, and prescience: he then quotes and criticizes Lord Tarbatt's letters to Robert Boyle. Second sight 'is a trouble to most of them, and they would be rid of it at any rate, if they could'. One of our own informants says that the modern seers are anxious when they feel the vision beginning: they do not, however, regard the power as unholy or disreputable. Another informant mentions a belief that children born between midnight and one o'clock will be second-sighted. People attempt to hasten or delay the birth, so as to avoid the witching hour; clearly then they regard the second sight as an unenviable accomplishment. 'It is certane' says Kirk, 'he sie more fatall and fearfull things, than he do gladsome.' For the physical condition of the seer, Kirk describes it as 'a rapture, transport, and sort of death'. Our contemporary informants deny that, in their experience, any kind of convulsion or fit accompanies the visions, as in Scott's account of Allan Macaulay, in the Legend of Montrose. Strangely unlike Mr. Kirk, in style and mode of thought, is his contemporary, the Rev. Mr. Frazer of Tiree and Coll; Dean of the Isles. We cannot call a clergyman superstitious because, 200 years ago, he believed in good and bad angels. Save for this element in his creed, Mr. Frazer may be called strictly and unexpectedly scientific. He was born in Mull in 1647, being the son of the Rev. Farquhard Frazer, a cadet of the house of Lovat. The father was one of the first Masters of Arts who ever held the living of Coll and Tiree: in his time only three landed gentlemen of the McLeans could read and write. The son, John, was educated at Glasgow University, and succeeded to his father's charge, converting the lairds and others 'to the true Protestant faith' (1680). At the Revolution, or later, being an Episcopalian and Jacobite, he was deprived of his stipend, but was not superseded and continued the exercise of his ministry till his death in 1702. Being in Edinburgh in 1700, he met Andrew Symson, a relation of his wife: they fell into discourse on the second sight, and he sent his little manuscript to Symson who published it in 1707. There is an Edinburgh reprint, by Webster, in 1820. The work is dedicated to Lord Cromartie, the Lord Tarbatt of Kirk's book, and the correspondent of Pepys. Symson adds a preface, apologizing for Mr. Frazer's lack of books and learned society, and giving an example of transference of second sight: the seer placed his foot on that of the person interested, who then saw a ship laboring in a storm. The tale was not at first hand. 1. A servant of his left a barn where he slept, 'because nightly he had seen a dead corpse in his winding sheet, straighted beside him'. In about half a year a young man died and was buried in the barn. 2. Mr. Frazer went to stay in Mull with Sir William Sacheverell, who wrote on second sight in the Isle of Man, and was then engaged in trying to recover treasures from the vessel of the Armada sunk in Tobermory Bay. The Duke of Argyll has a cannon taken from Francis I. at Pavia, which was raised from this vessel, and, lately, the fluke of a ship's anchor brought up a doubloon. But the treasure still lies in Tobermory Bay. Mr. Frazer's tale merely is that a woman told a sailor to bid him leave a certain boy behind. The sailor did not give the message, the boy died, and the woman said that she had seen the lad 'walking with me in his winding sheets, sewed up from top to toe,' that this portent never deceived her. 3. A funeral was seen by Duncan Campbell, in Kintyre, he soon found himself at the real funeral. 4. John Macdonald saw a sea-captain all wet, who was drowned, 'about a year thereafter'. The seer 'was none of the strictest life'. 5. A man in Eigg foretold an invasion and calamities. The vision was fulfilled by a landing of English forces in 1689, when Mr. Frazer himself was a prisoner of Captain Pottinger's, in Eigg. He next mentions an old woman who, in a syncope or catalepsy, believed she had been in heaven. She had a charm of barbarous words, whereby she could see the answers to questions 'in live images before her eyes, or upon the wall, but the images were not tractable (tangible), which she found by putting to her hand, but could find nothing'. In place of burning this poor crone, Mr. Frazer reasoned with her, 'taught her the danger and vanity of her practice,' and saw her die peacefully in extreme old age. Seeking for an explanation Mr. Frazer gives a thoroughly modern doctrine of visual and auditory hallucinations, as revived impressions of sense. The impressions, 'laid up in the brain, will be reversed back to the retiform coat and crystalline humour,' hence 'a lively seeing, as if, de novo, the object had been placed before the eye'. He illustrates this by experiments in after-images. He will not deny, however, that angels, good or bad, may intentionally cause the revival of impressions, and so, for their own purposes, produce the hallucinations from within. The coincidence of the hallucination with future events may arise from the fore-knowledge of the said angels, who, if evil, are deceptive, like Ahab's false prophets. The angel then, who, through one channel or another, fore-knows, or anticipates an event, 'has no more to do than to reverse the species of these things from a man's brain to the organ of the eye'. Substitute telepathy, the effect produced by a distant mind, for angels, and we have here the very theory of some modern inquirers. Mr. Frazer thinks it unlikely that bad angels delude 'several men that I have known to be of considerable sense, and pious and good conversation'. He will not hear of angels making bodies of 'compressed air' (an old mystic idea), which they place before men's eyes. His own hypothesis is more economical of marvel. He has not observed second sight to be hereditary. If asked why it is confined to ignorant islanders, he denies the fact. It is as common elsewhere, but is concealed, for fear of ridicule and odium. He admits that credulity and ignorance give opportunities to evil spirits 'to juggle more frequently than otherwise they would have done'. So he 'humbly submits himself to the judgment of his betters'. Setting aside the hypothesis of angels, Mr. Frazer makes only one mistake, he does not give instantiæ contradictoriæ, where the hallucination existed without the fulfillment. He shows a good deal of reading, and a liking for Sir Thomas Browne. The difference between him and his contemporary, Mr. Kirk, is as great as that between Herodotus and Thucydides. Contemporary with Frazer is Martin Martin, whose Description of the Western Isles (1703, second edition 1716) was a favorite book of Dr. Johnson's, and the cause of his voyage to the Hebrides. Martin took his M.A. degree at Edinburgh University in 1681. He was a curious observer, political and social, and an antiquarian. He offers no theory of the second sight, and merely recounts the current beliefs in the islands. The habit is not, in his opinion, hereditary, nor does he think that the vision can be communicated by touch, except by one to another seer. Where several seers are present, all do not necessarily see the vision. 'At the sight of a vision, the eyelids of the person are erected, and the eyes continue staring until the object vanish,' as Martin knew by observing seers at the moment of the experience. Sometimes it was necessary to draw down the eyelids with the fingers. Sickness and swooning occasionally accompanied the hallucination. The visions were usually symbolical, shrouds, coffins, funerals. Visitors were seen before their arrival. 'I have been seen thus myself by seers of both sexes at some 100 miles distance; some that saw me in this manner had never seen me personally, and it happened according to their visions, without any previous design of mine to go to those places, my coming there being purely accidental.' Children are subject to the vision, the horse of a seer, or the cow a second-sighted woman is milking, receives the infection, at the moment of a vision, sweats and trembles. Horses are very nervous animals, cows not so much so. As to objections, the people are very temperate, and madness is unknown, hence they are not usually visionary. That the learned 'are not able to oblige the world with a satisfying account of those visions,' is no argument against the fact of their occurrence. The seers are not malevolent impostors, and there are cases of second-sighted folk of birth and education, 'nor can a reasonable man believe that children, horses, and cows could be pre-engaged in a combination to persuade the world of the reality of the second sight'. The gift is not confined to the Western Islands, and Martin gives a Dutch example, with others from the Isle of Man. His instances are of the usual sort, the fulfillment was sometimes long deferred. He mentions a case, but not that given by Mr. Frazer, in the Isle of Eigg. The natives had been at Killiecrankie, and one of them murdered an English soldier in Skye, hence the English invasion of 1689, in which a pretty girl (as had been prophesied by a seer) was brutally ill-treated. The most interesting cases are those in which strangers are seen, and peculiarities in their dress observed before their arrival. In the Pirate Scott shows how Norna of the Fitful Head managed to utter such predictions by aid of early information; and so, as Cleveland said, 'prophesied on velvet'. There are a few cases of a brownie being seen, once by a second-sighted butler, who observed a brownie directing a man's game at chess. Martin's book was certainly not calculated to convince Dr. Johnson; his personal evidence only proves that a kind of hallucinatory trance existed, or was feigned. Later than Martin we have the long work of Theophilus Insulanus, which contains many 'cases,' of more or less interest or absurdity. But Theophilus is of no service to the framer of philosophical or physiological theories of the second sight. The Presbyterian clergy generally made war on the belief, but one of them, as Mrs. Grant reports in her Essays, had an experience of his own. This good old pastor's 'daidling bit,' or lounge, was his churchyard. In an October twilight, he saw two small lights rise from a spot unmarked by any stone or memorial. These 'corpse-candles' crossed the river, stopped at a hamlet, and returned, attended by a larger light. All three sank into the earth on the spot whence the two lights had risen. The minister threw a few stones on the spot, and next day asked the sexton who lay there. The man remembered having buried there two children of a blacksmith who lived at the hamlet on the opposite side of the water. The blacksmith died next day! This did more for second sight, probably, than all the minister's sermons could do against the belief. As we began by stating, it is a popular superstition among the learned that the belief in second sight has died out among the Highlanders. Fifty years ago, Dr. McCulloch, in his Description of the Western Islands, wrote thus: 'Second sight has undergone the fate of witchcraft; ceasing to be believed, it has ceased to exist'. Now, as to whether second sight exists or not, we may think as we please, but the belief in second sight is still vivacious in the Highlands, and has not altered in a single feature. A well-known Highland minister has been kind enough to answer a few questions on the belief as it is in his parish He first met a second-sighted man in his own beadle, 'a most respectable person of entirely blameless life'. After citing a few examples of the beadle's successful hits, our informant says: 'He told me that he felt the thing coming on, and that it was always preceded by a sense of discomfort and anxiety. . . . There was no epilepsy, and no convulsion of any kind. He felt a sense of great relief when the vision had passed away, and he assured me repeatedly that the gift was an annoyance rather than a pleasure to him,' as the Lapp also confessed to Scheffer. 'Others who had the same gift have told me the same thing.' Out of seven or eight people liable to this malady, or whatever we are to call it, only one, we learn, was other than robust, healthy, and steady. In two instances the seers were examined by a physician of experience, and got clean bills of mental and bodily health. An instance is mentioned in which the beadle, alone in a boat with a friend, on a salt-water loch, at night, saw a vision of a man drowning in a certain pool of a certain river. A shepherd's plaid lay on the bank. The beadle told his companion what he saw, and set his foot on his friend's, who then shared his experience. This proves the continuity of the belief that the hallucination can be communicated by contact. As a matter of evidence, it would have been better if the beadle had not first told his friend what he saw. Both men told our informant next day, and the vision was fulfilled 'scarcely a week afterwards'. This vision, granting the honesty of the seers, was a case of 'clairvoyance,' but 'symbolical hallucinations' frequently occur. In our informant's experience the gift is not hereditary. Lo, the sublime telepathist is here. The belief in witchcraft is also as lively in the Highlands, as in Devonshire, but, while the law takes no cognizance of it, no great harm is done. 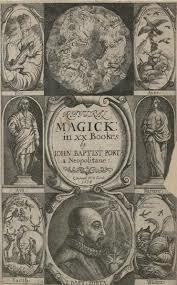 The witchcraft mainly relies on 'sympathetic magic,' on perforating a clay image of an enemy with needles and so forth. There is a very recent specimen in the Pitt Rivers collection, at the museum in Oxford. It was presented, in a scientific spirit, by the victim, who was 'not a penny the worse,' unlike Sir George Maxwell of Pollok, two centuries ago. Though second sight is so firmly rooted in Celtic opinion, the tourist or angler who 'has no Gaelic' is not likely to hear much of it. But, when trout refuse to rise, and time hangs heavy in a boat on a loch, it is a good plan to tell the boatman some ghostly Sassenach tales. Then, perhaps, he will cap them from his own store, but point-blank questions from an inquiring southron are of very little use. Nobody likes to be cross-examined on such matters. Unluckily the evidence, for facts not for folklore, is worthless till it has stood the severest cross-examination.